These are uniform 55 lb. to 65 lb. cast bars. Pig lead is often remelted but can also be used as a ballast product. Pig is cast with “ears” to make lifting individual pieces easier. This a simple cast product, but has a variety of applications. as marine applications, barge ballast, ship ballast and more.. 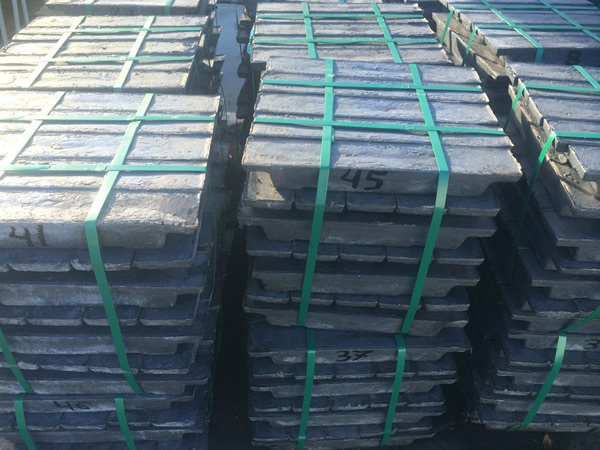 Pure Lead stocks 99.99% and 99.97% pig lead for immediate shipment.